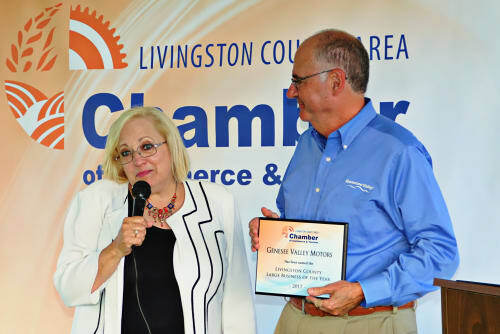 The Livingston County Chamber of Commerce & Tourism honors four local businesses each year with their Business Excellence Awards. 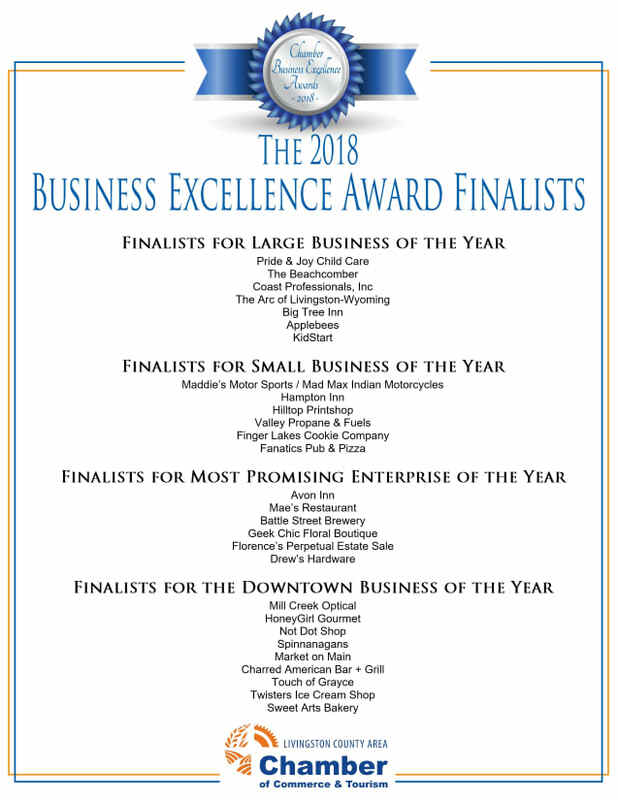 The businesses are honored in the categories of Large Business of the Year, Small Business of the Year, Downtown Business of the Year & Most Promising New Enterprise. 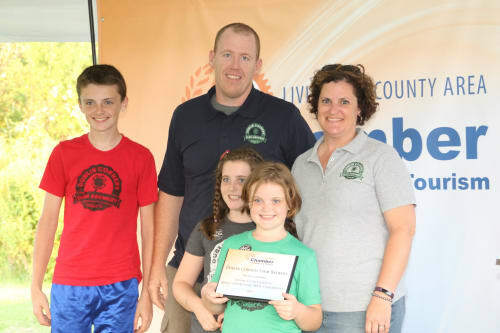 A nomination must include a narrative substantiating the reason why the business is being nominated. 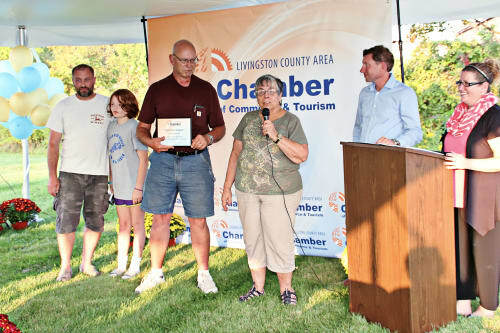 The nominee must be a member of the Livingston County Chamber of Commerce & Tourism. A business is not eligible to win in the same category within 5 years of previously winning – but can win in another category. A business can be nominated in more than 1 category but can only move forward to the finalist round in one category. 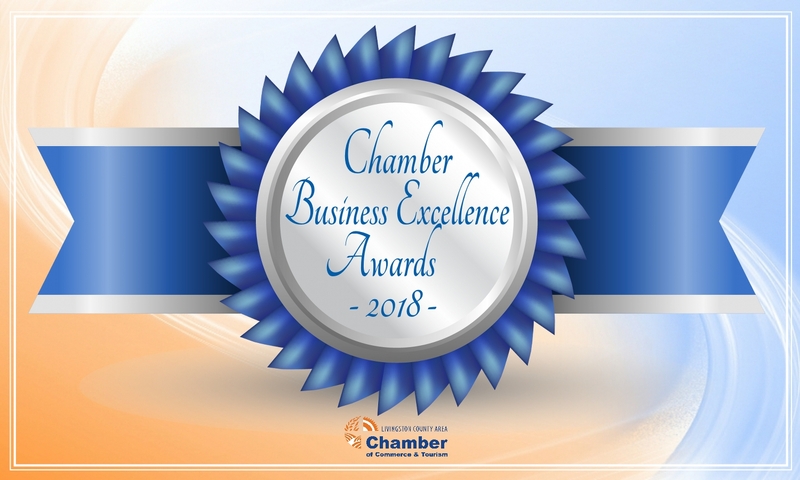 The Chamber staff / committee reserve the right to determine in which category the nominees will move forward.